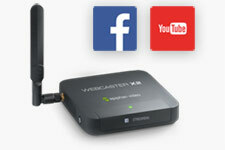 Use Epiphan Webcaster X1™ to stream your HD camera to your Facebook Timeline, Event, Group or Page. Works with any camera, mixer or device with HDMI™ output. Get higher quality video streams by using a dedicated video camera or SLR for your Facebook Live videos. On startup, Webcaster X1 automatically displays a unique device code on its LCD display. To pair and authenticate Webcaster X1 to your Facebook account, visit www.facebook.com/device on your desktop or smartphone and enter this code. The Facebook for Devices service quickly authorizes your Webcaster X1 to authenticate, login and stream to your Facebook account. Connect any wired or wireless mic to your camera and get professional HDMI audio quality using your Webcaster X1’s HDMI IN port. 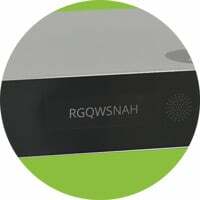 Webcaster X1 encodes your high quality audio along with your video and streams it to your Facebook Live audience. Connect a display to the HDMI OUT port for monitoring your live video, and to see comments and reactions from your viewers. Add a mouse and external monitor to reconfigure default settings and to select your choice of continuous streaming or single event streaming and to choose to stream to a Facebook Event, Group or to your Timeline. You can also adjust other streaming parameters such as video and audio bitrate. Webcaster X1’s wired Ethernet connection allows network administrators to isolate your traffic from other users, providing dedicated bandwidth, security and quality of service for your stream.